BASF's water-based adhesive systems are an environmentally compatible and economically rewarding alternative to conventional technologies when it comes to lamination of flexible food packaging. This is the outcome of a recent eco-efficiency analysis conducted by BASF and COMEXI, a leading supplier of converting solutions for the flexible packaging industry. For the study, which started in 2013 and was completed by the end of 2015, four typical adhesive technologies were analyzed and compared. The results of the eco-efficiency analysis show that water-based Epotal lamination systems offer significant advantages over solvent-based adhesives. Beside a lower carbon footprint, BASF's water-based systems also enable an increased flexibility and accelerated production procedures due to their unique polymer design. 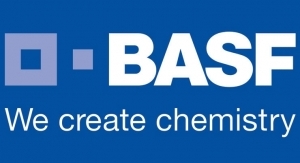 The analysis revealed that water-based adhesive systems by BASF have a clear ecological advantage over solvent-based systems due to the use of water instead of organic solvents - therefore they have a lower environmental impact over the whole life cycle. Water-based Epotal adhesive systems meet the food packaging regulations of the European Union and the U.S. Food and Drug Administration (FDA). As they contain neither organic solvents nor aromatic isocyanates, production risks are reduced to a minimum and health and safety in the workplace is improved. The study also found that water-based lamination systems are an attractive economical option for converters. By using water-based adhesives, the whole packaging process is accelerated. "Due to the high molecular weight of those systems, a high initial bonding strength right after lamination is provided. This translates into lower off-spec costs and less required storage and curing times. Reduced lead times eventually result in more flexibility for customer demand - converters can laminate and deliver within one day", adds Axel Weiss. COMEXI responds to this market trend with the launch of their water-based laminator L20000, which was especially designed for a faster and more flexible production.